North Korean leader Kim Jong Un said Saturday that the second flight test of an intercontinental ballistic missile demonstrated his country can hit the U.S. mainland, hours after the launch left analysts concluding that a wide swath of the United States, including Los Angeles and Chicago, is now in range of North Korean weapons. The Korean Central News Agency said that Kim expressed "great satisfaction" after the Hwasong-14 missile, which the country first launched on July 4, reached a maximum height of 3,725 kilometers (2,314 miles) and traveled 998 kilometers (620 miles) from the launch point before landing in waters near Japan. The agency quoted Kim as saying that the latest launch reaffirmed the reliability of the country's ICBM system and confirmed an ability to launch the missile at "random regions and locations at random times" with the "entire" U.S. mainland now within range. Kim said the launch late Friday sent a "serious warning" to the United States, which has been "meaninglessly blowing its trumpet" with threats of war and stronger sanctions, the KCNA said. 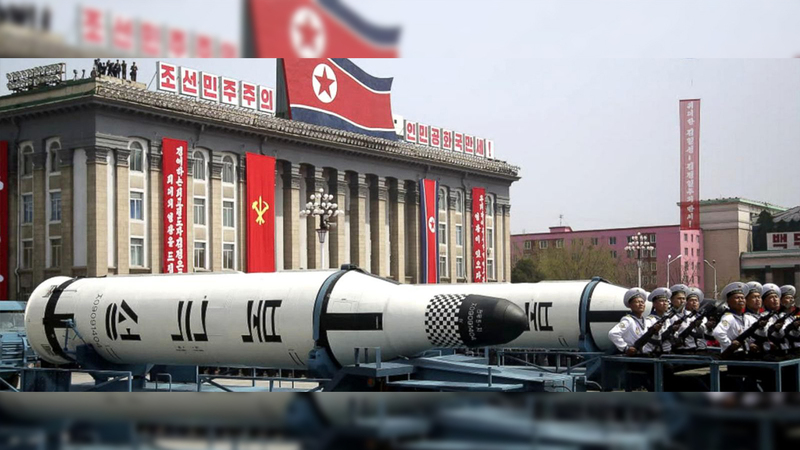 David Wright, a physicist and co-director of the global security program at the Union of Concerned Scientists, said that if reports of the missile's maximum altitude and flight time are correct, it would have a theoretical range of at least 10,400 kilometers (about 6,500 miles). That means it could have reached Los Angeles, Denver or Chicago, depending on variables such as the size and weight of the warhead that would be carried atop such a missile in an actual attack. South Korea's Foreign Ministry denouncing the launch as a "grave threat" to regional and international security. But the ministry also said South Korea will continue to try to reach out to the North and called for Pyongyang to accept Seoul's recent offer for talks to reduce animosities along their tense border and resume temporary reunions of relatives separated by the 1950-53 Korean War.